I didn’t really want to finish off one of my drafts the night before my birthday, but I felt I was on such a blogging roll lately that I still wanted to post something. So I thought I’d write a quick blog post to say hello! This will be my first birthday away from my family, so its a less than happy day but I’ll try my best to make it a great day. So I want to know what little birthday traditions do you guys have? I always have pancakes for breakfast and wear bright red lipstick no matter what I’m doing. So I’ve been struggling to find new and interesting blogs to read recently, and I love to red blogs as much as I like to write my own. I feel as if its so important to read as much content as possible while creating your own. It helps develop skills that you may not have thought and gives you ideas that may have never even occurred to you. Also like alot you, I don’t just buy product willy-nilly I like to research in fact I love to research. Its part of the fun of buying and testing new products; so reading everyones blogs and seeing everyone opinions is so important. Now I know this post just seems like be babbling about how much I love to read others work but it does have a point. 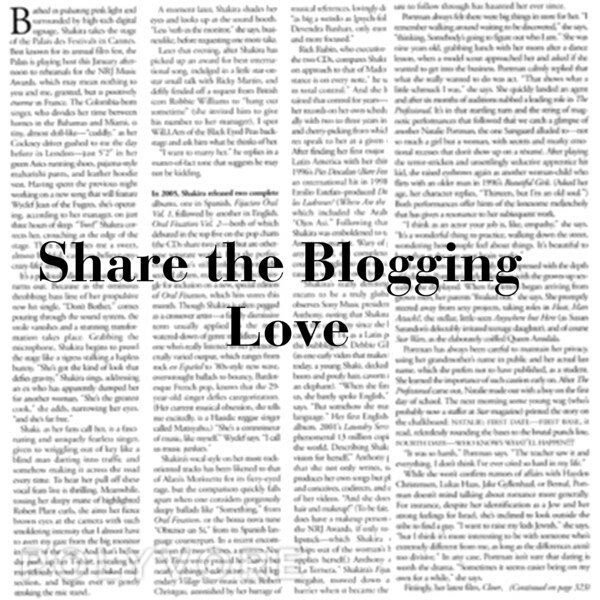 I’d like anyone and everyone to let me know what your blogs are called by commenting your URL so everyone can see and read your blog. This idea has been on my mind for a while now and I really want it to work out so I can find amazing content which I may not otherwise find. I wanted so much to like this product. My friend recommended it to me. She looked flawless wearing it, so naturally I went out and got it. Packaging-The packaging freaked me out I remembered in store it was in a tube like most of my BB creams when I pulled it out of the box it had a pump on the bottom unlike my other BB creams. l thought this was a great idea you can get the perfect amount of product and waste very little. The black matte tube does get dirty quickly but that isn’t a big problem really. Product- My friend described as light coverage but build-able. Now on my super oily skin this isn’t true; the product slides all over my skin. On dryer skin I feel like this product would work well. this is ultra moisturizing which is why it is a product suited better for dryer skin types. As for the anti-wrinkle claims I can’t much other then the product sits in my pours and fine lines making them look bigger which is something nobody wants. As for the coverage it is very light, much like a normal bb cream but I the under tone very orange and it oxidizes on the skin making it look more orange. So using a coloured powder to set is something I’d advise. Overall this is a good BB cream if you have dry or even normal skin but if your skin is oily I’d steer clear of this one. I don’t like this product as much as my other BB creams but I will try and make it work (like always). Who remembers that photo I shared a couple of months ago? Well its finally time and I must this product is perfect. I can’t believe I went so long without trying this out telling myself that the knock offs are just as good. 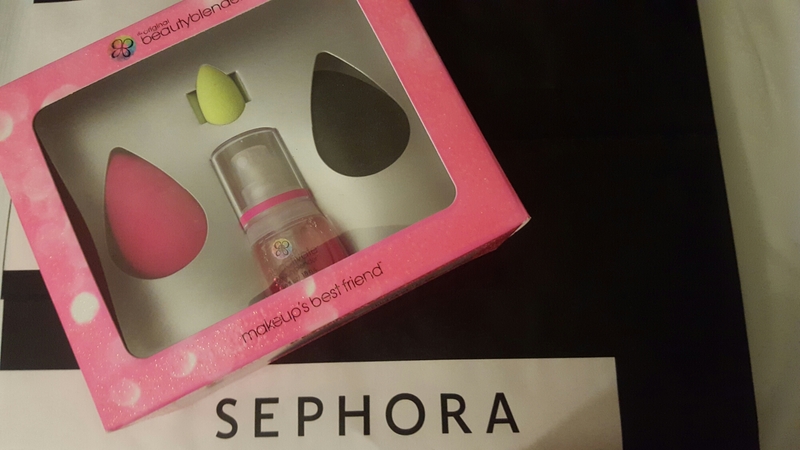 Product: So quick recap of what the beauty blender actually is, and that is a reusable makeup sponge that you wet and is designed blend products into the skin flawlessly. That is exactly what this product does. Its soft and bounces over the skin pushing to product into the skin making your foundation or powder or what ever you want to use look flawless much more flawless then a brush could ever manage. The best part of this product is hand made and 100% natural. The only down side to this product is its got a shelf life of about 3 months, and becuase of the costs that can rack up a bit of a price tag by the end of the year. I suggest checking out my battel of the makeup sponges post here of your looking for a cheaper alternative. I’ve always had problems with knock offs being to firm or tearing a week after I’ve gotten it. Words really cannot describe how much I love this tool, I don’t know how I’ll ever do makeup without it again. I started this series a little while ago and it got lost in my on, off blogging madness but it is something I’d like to continue with. Todays focus is stick foundation and whether or not its right for you ans your skin. The main draw to stick foundation is the coverage, stick foundation tends to be alot thicker then your average liquid foundation and therefore gives a better coverage. This is why stick foundation generally works as a two in one, working as a concealer as well. The main pro to stick foundation us easy it is to travel with, the packaging and size of the product make it easy to pack and as it doesn’t come in the glass bottle there is no worry about the package breaking in a suitcase on the a long flight. Overall stick foundation is great if your after full coverage for a special event or if your looking for quick and easy way to touch up your making during the day. 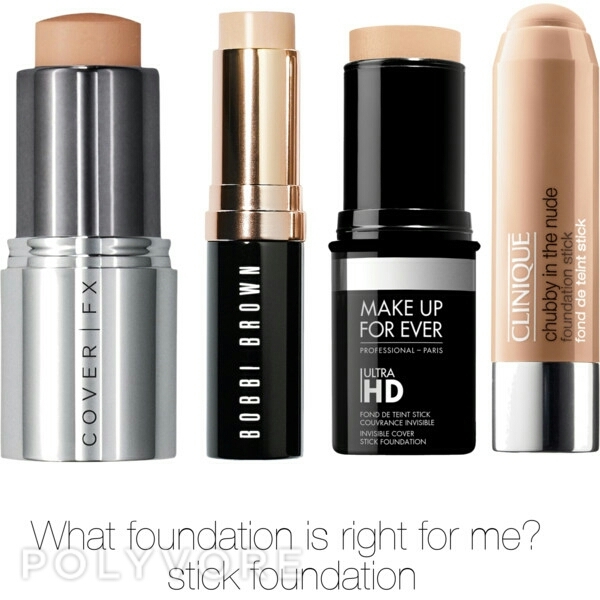 I would personally say that stick foundation is for the professionals purely because its to thick to be worn everyday and is easy to carry from job to job. So if your looking for a foundation to stock up on for your freelance kit stick foundation is definitely worth looking into. 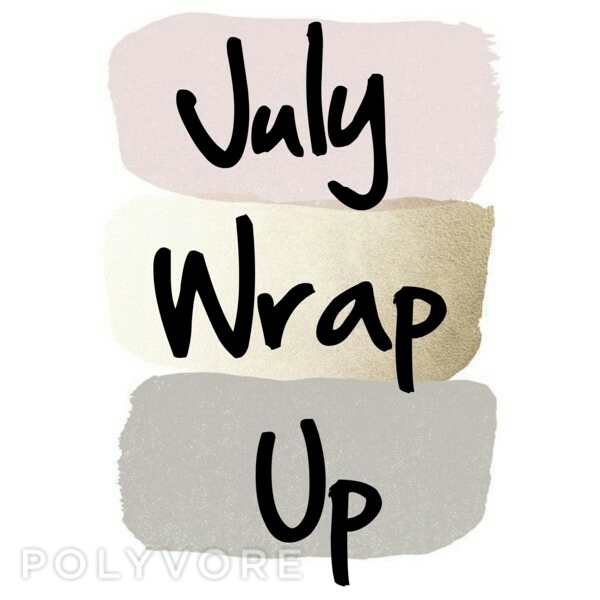 Slightly late as this won’t go up until the seond week of August but I thought I’d look back on the month of July and see how I went with my goals and other throughts about the month. 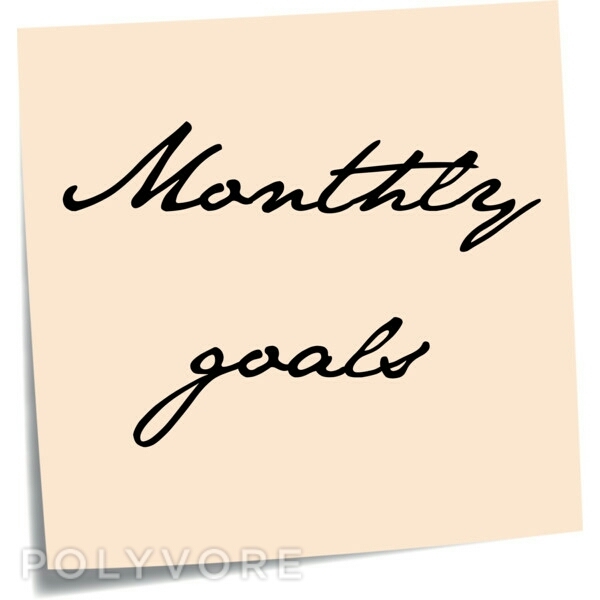 So how many of my goals did I complete in July? None. I didnt read any books, I didnt finish any tv shows, it feels like I achived nothing all month but thats not exactly true. I spent most of my time in July either bed ridden or at work. So I spent mot of the month really thinking about who I am and what I want to achive with my life. I know its sounds stupid and like I just was lazy all month ans didn’t achive anything. When I feel like I achived quite a bit. My highlight of the month would have to have been going home to see my parents. It was the first time in 9 months and well it took a lot of my attention. Let me know if anyone is intersted in what its like to live 18 hours away from home kind of blog ir advice thing in the comments. Its August already! So its that time of the month where I list my goals of what I’d like to get done. August is normally a busy month for me as I have alot of family events and not to mention uni is just staring to ramp up again so I tried to keep it a little bit more simple this month. I hope everyone enjoys the month and has a tone of fun! The big 20 the number that moves you from being a fun loving, carefree teenager to a childish adult or atleast thats how see it somehow. As a child I thought at 20 I’d be working part time in a office wearing heels everyday filing paper work and smiling sweetly at anyone that approached my desk. Then in my spare time I would study medicine or law something great in order to make my mark on the world. I’d make enough money to rent a small but stylish apartment somewhere close to the city but not so close that I would hear traffic every waking hour. I’d eat at amazing restaurants and make beautiful and healthly meals. I’d wear designer clothes and no one would see me with a hair out of place or with out lipstick. My life would be perfect straight out of a novel. Its a very different life to the one I live now, where I in fast food barly making enough money to buy food every week let alot new makeup or clothes to write about. But oddly enough I’m happy with the life I have right now and thats my biggest fear about turning 20. I know I’m not living up to my expectations but will everything have to change when I’m offically an adult or can I just keep shuffle through makeing my own path my own way. But at the end of the day age is just a number and doesnt change who you are as a person. I just wanted to put my throughts out there into the universe. What are your throughts on growing older? Do you think things have to change? Its not to late to back out now and yet it feels like it very much is. I feel as if I’m already behind and very unsure if I’ll be able to catch up in time for my exams. I thought I was ready for this semester but I don’t think I’ll ever be able ‘be ready’ for uni. I’m just going to have to muddle through as best I can. I’m sorry about the change of pace on this blog I feel as if I was writing for the wrong reasons. So rather then being a place I can come and feel myself i felt as if I was trying to be someone different to impress the world. But I wont be doing that anymore. This is basically just a review of knock tangle teezer . For all of those of you that don’t already know I have thick hair and A LOT of it. So much so I am now at the point that not only that the knots in my hair get so bad I am forced to brush my hair 3 times a day and I would normally go though 1 hairbrush a week before it broke and I’d have to replace it. So naturally if theirs meant to be a product that make my day to day struggles go away I’m all for it and if I can get it on the cheap its even better. So let start, its looks exactly like an actual tangle teezer, it came in 2 colours (Blank, pink) at my local target (which is considered a target country so there may be more range in larger stores). I won’t go into full detail about all the promises but what I will say it this brush promises to tame your tangles wet or dry and at $5 why wouldn’t I try it? So heres how the brush went: When I opened the package I struggled to believe this would actually work, the bristles were thin and flexible and the brush felt like it would snap the second it came across one of my knots. On the day I washed my hair, added a daily leave in serum, sprayed heat protector spray and blew dried my hair until I felt it was dry enough for me to brush without causing to much pain. I used the brush as I would use any normal brush, starting from the ends and working my way up. This brush didn’t make brushes my hair any faster, but I will say it made it a lot easier. I didn’t feel any pain from pulling at the knots and there was little to no breakage. The brush glided through the knots detangling them slowly but carefully with minimal effort on my part. For the first time in a month I could comb my fingers through my hair without finding any little knots that had hidden from the brush. When I got to my before bed brush time I was dreading it, I thought my hair was going to be hell to brush. As I had spent the whole day out with my hair down on a windy rainy day but as I started brushing my hair I was very surprised the brush once again performed wonderfully gliding through my hair with no pain at all. My verdict is that I love this brush, I will never go back to brushing my hair with a normal hairbrush. This brush has made my life so much easier and my mornings much more pain free.